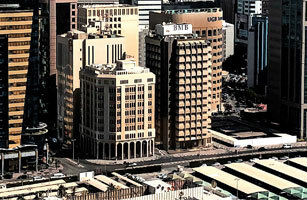 Manama, Bahrain (1 March 2009) – BMB Investment Bank (“BMB” or the “Bank”) announced today the appointment of Mr. Akbar Ali Habib as the Bank’s new Chief Executive Officer. Mr. Habib, an Omani national, brings with him a wealth of banking and financial services experience. A business graduate from the USA, Mr. Habib’s last assignment was group Chief Executive Officer of Oman National Investment corporation (ONIC) Holding where he is credited with the highly successful restructuring and repositioning of the group. Mr. Habib has previously served in the Central Bank of Oman, the Civil Services Pension Fund and Oman International Bank.